View More In Fire Safety. 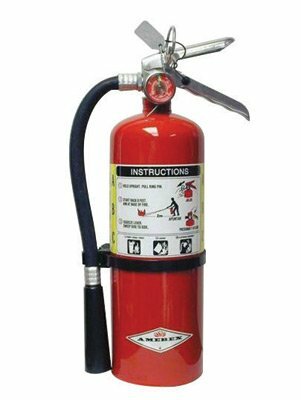 Amerex® Dry Chemical Fire Extinguishers Stored pressure dry chemical fire extinguishers for use on ordinary combustibles, flammable liquids and gases and energized electrical equipment. Features all metal valves and includes wall mount brackets. If you have any questions about this product by Amerex, contact us by completing and submitting the form below. If you are looking for a specif part number, please include it with your message.